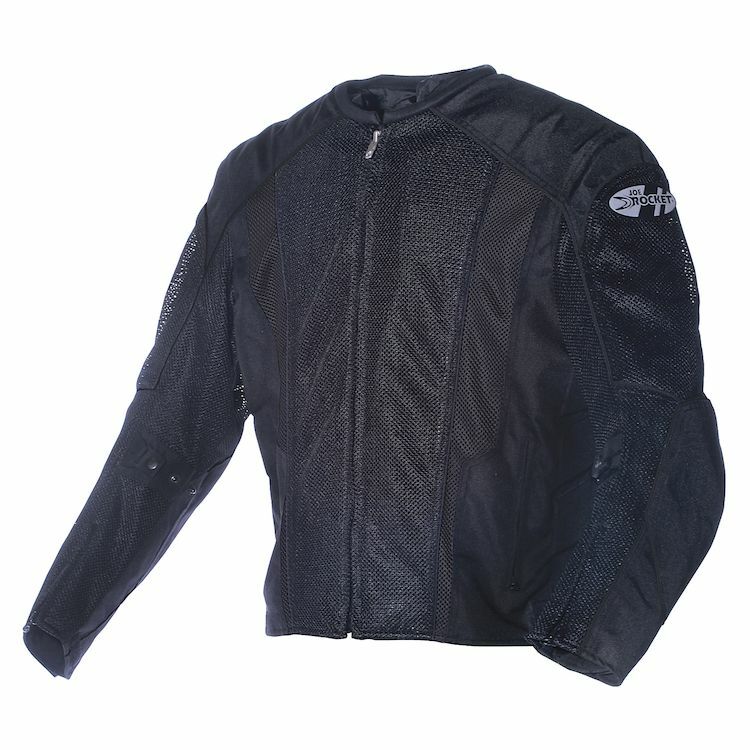 A staple of the Joe Rocket lineup, the Joe Rocket Phoenix 5.0 Mesh Jacket is the ultimate in hot weather riding protection. The FreeAir poly and mesh shell provides excellent air-flow and abrasion resistance, while CE rated armor in the elbows and shoulders protect against potential impacts. The Phoenix 5.0 Jacket also incorporates an 8" connection zipper to attach to a pair of Joe Rocket riding pants, as well as a waterproof liner to keep out wind and water. Fits as advertised. The sleeves are a bit long, but I’m a heavier guy, so that’s the norm for most items that’ll fit me around my chest. The jacket is not very stylish, but it DEFINITELY hits its hi-vis mark. This is my husband's year-round jacket. He's worn it in extream Pheonix heat and monsoon downpours and it hasn't let him down. I bought the jacket for our hot Florida days. Obviously not as much protection as leathers, but way more airflow and I can actually commit to wearing it. Bought it for the decent price and name brand. Good airflow, decent armor. I was on a blast of a road trip from Louisville to SW Florida on my little XSR900 and a shoulder seam blew out halfway through the trip. Wore it anyways for the protection, but it was very annoying. Less than 4000 miles and less than a year on the babied jacket. RevZilla was amazing! Gave me a full refund after all of this time and I upgraded to a Rev it airwave 2 with extra level 2 back protector. Airwave costs a whole lot more money especially with separate back protector purchase, but its worth it to me. Better armor, almost as good of airflow, and way better fit and finish. Thanks Revzilla, customer service is the new sales! I have been riding with mine for over 6 years, all year round, commute and week ends. It held the task amazingly. I am still surprised by the fact it stayed in such a good shape. No major issue of any sort. The restraining clip on one armpit is getting weaker, but still works. The tightening velcros at the waist are not as strong as new, but they work. The zips do function smoothly and never broke. Some of the rubber pad protections lost a little of their integrity (lill bits off from the edges, cracks in one of the thinner lines of one of the shoulder pads), these thinner lines of the hand grenade surface shape is where they cracked by folding effects. It is time to replace them. But this is after 6 years of *Daily* usage! Do not place it over a thin coat hanger, give it shoulders support to help its general maintain and shoulder pads. I am another tall (6') & skinny (147#) so it's true I can feel the elbow pads a little too free in the sleeves, where more bones and muscles would keep them in place a little tighter. But the restraining buttons on the forearms do help. ~ 77F is my limit with the liner in. Over this I need the air through the mesh only, and then it is a real treat. The jacket gets dirty with city traffic exhausts goo and needs cleaning in warm water and soft soap, if you do it gently it absolutely doesn't impact the jacket's integrity (of course remove the protections). I have not seen a single thread getting off it anywhere: well sewed! I cannot talk about its efficiency in a fall/glide as my >40,000 miles with it were all on the saddle only. I do not need/use pockets in my jackets. The absence of collar forces you to wear neck protection in winter. Not an issue for me. I am glad to see Joe Rocket still produce it. As per my experience, it sure is an all time champ in the quality/look/price ratio. I'm 5' 10" and about 200lbs with a decent size chest and a beer belly. The large fit me great! The mesh is nice and cool and love the liner for when it gets a little chillier. This jacket fits about the same as other XL jackets that I have had from Joe Rkt and others. Decent air flow. Nice jacket for the money. great little jacket if you don't want to ride on a t shirt. Plenty of airflow and all the required protectors. the material is shiny like metallic paint. This jacket is super comfortable, so much airflow, and it still has the armor in the appropriate places. 100% happy with my purchase. I'll start with the worst. I'm 5'4" at 120 lbs and get all my shirts in large. They're baggy, but mediums are very constricting. I took a risk and got this in Medium seeing the true fit was larger than people expected. I wish I got a small instead. It's a good bit baggy with everything loosened, and there's a critical fault where the shoulder armor keeps falling down to my upper arm if I shuffle my shoulders too much. I could tighten up the arms, and gut area just fine, but I can't find a solution for the shoulders other than to hem the pouch the armor rests in to be smaller. (Considering doing this since Small in Blue is out of stock with no restock date). That aside, it's a really good jacket. Zippers on the lower arms, snap buttons for the arm armor (I tightened mine all the way down), belly straps to tighten or loosen the fit (again, I tightened mine all the way), glasses holder, belt loop straps, pockets with zippers, keys hook inside the chest area, and it even comes with a rain liner you can remove. My reason for getting this one in particular was for air flow, and I can say even walking around my apartment I can feel the air come through easy. I'd call that a mission success. The material it's made of does irritate my skin a bit, but it just takes some getting used to. It reminds me of the airflow material they put on the straps of backpacks growing up that was itchy if you rubbed against it the wrong way, I may have just put the jacket on too fast. I had one and it really helped me out in a crash last year. I chose the Phoenix 5.0 Jacket because it came in my Size. After having a great experience with Joe Rocket's Atomic 5.0, The phoenix 5.0 was a perfect fit for a mesh Jacket. Good reviews and a good price. Like Joe Rocket products, price point and features met my needs. Best all around jacket for the price! Great air flow and easy on the wallet! This is my favorite jacket, air flow is plenty and the jacket fit is perfect. It came with a rain liner which has proven useful. The armor could be a bit better. Needed a hot weather jacket for summer time in Houston. I purchased this for my safety/skills training course. It is light and provided some ventilation. Thankfully I did not crash or down the bike at all, so I can't attest to the protection; however, it should still far much better than my skin and bones going up against the asphalt. I live in Arizona and it gets over 110 degrees here. I was looking for a jacket that provides good ventilation . My riding is mostly commuting and I ride six days a week so it is a great help if my rides can be a few degrees cooler. I needed a jacket for hot/humid weather that breathes a lot of air, but still had some armor. This also came in the big/tall size I need, and didn't cost a fortune. Joe Rocket is a good brand in the mesh jackets. Not a fan of the leather jackets as my previous one choked me. cause the weather in Qatar is always hot and I need will ventilated jacket . I needed a mesh jacket that was not going to burn a hole in my wallet but provide protection. This jacket looks great and I get compliments all the time. It feels good when riding and the liner is easy to put on when the temperature drops. I might buy another as a back-up. I have had an original Phoenix jacket for 10-12 years and love it. I like the new features with the lining and waterproof. Difficult to fit size. Good reviews for summer performance. good stuff. nice jacket. too hot for summer for me. nice for cool mountain morning. My husband needed a mesh jacket to wear in Phoenix's 105+ summer heat, and he liked the style. However, once it arrives, we will be upgrading the armor to Sas-tec, to improve safety. comments on how it took a fall on the pavement and lasted. This is one of the very few jackets that come in a large-tall size, this one being the least expensive was the easy choice. I wish there were a larger selection of tall sized jackets not just on this site, but on the market in general. This is my first ever riding jacket after many years of riding. I'm always in shorts and T- Shirt, and when it gets cool and night then I'm just chilly. This jacket has excellent reviews about air flow for the Summer and Spring, and has a liner for wind protection for the Fall. I need to start wearing some kind of protection, and also have a light jacket for cool nights. Reviews says that this jacket does just that. Good Reviews, Great price and I love my other Joe Rocket Jacket. I am 6'7" so I needed a tall Jacket and this one fit perfectly. Went down in my Joe Rocket Phoenix ION, didn't use the small external chest pocket very much. So I needed a new jacket, and I figured why not get the same thing without an external pocket. Seems like a great mesh jacket for the price. summer-time breathability. armor pockets. brand reputation. reviews. Replacing the Phoenix 5.0 Jacket I have now. Great fitting jacket at a good price. "Removable spine pad with pocket for optional C.E. spine protector"
BEST ANSWER: After speaking to Revzilla's advisors in 2018, I got the newer Forcefield Isolator 2 (CE level 2) Back Protector Insert, Size 2. It is sized the same as the original foam (CE-nothing) insert that came with the jacket - perfect fit, very worthwhile upgrade. Note the Forcefield Isolator 2 comes in 3 different size/shapes. Only one is pictured on Revzilla's site. Size 2, which isn't pictured, is the one for this Joe Rocket jacket. I used the Forcefield Pro-Lite K, size 002. Will that icon one fit? YES, Its the one that i have. Its great because it also allows for air flow. What size Forcefield Back protector fits this jacket? I would like to make sure I do not get one that floats around in the pocket. BEST ANSWER: I got the Forcefield Pro-Lite K in size 002 and it fits perfectly. the back protector seems excellent and doesn't move around even at high speed. I am 6' 2", 220 pounds, and I'm not sure what size I should get. The size chart doesn't show "S" "M" "L" "XL" etc...next to the numbered chart. I am frankly lost and confused...? BEST ANSWER: I'm 6'1" and 215 lbs with an athletic build. I ordered the XL jacket and it was a perfect fit. 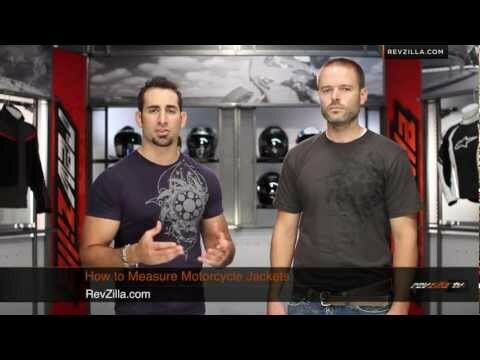 Revzilla is great about returning products that are incorrect in size if the gear you purchase is too big or too small. I'm 3" shorter and 30 pounds lighter and bought a large. It fits fine. A great hot weather jacket for the money. I got this in a 2XL Tall. I'm 6'5" 240lbs, 45" chest, 28"/37" arm (Used both of the measuring techniques listed on the site). The arms are long enough unless I go full extension, but I think the armor in it causes it to pull the sleeves up a bit. Jacket is a little loose in the chest, but it's not terrible. The back of the jacket comes down futher for a more sport bike fit. Shoulder armor fits in the right spots, but the elbows seem to shift down a bit when standing with arms down at your sides. Back pad could got for a little modification/replacement to something that breathes more. There is a lower back pad that sits at the very bottom of the jacket that has snaps on it which I'm assuming is to attach to pants to keep the jacket from riding up in a crash scenario. Flows a lot of air and it is not bad sitting still on the bike in 80 Degree heat no wind. The mesh on the top of the forearms lets lots of air and light thru as I got a bit of a tan while wearing it the last 2 days for about 10hrs total. I'm 6'3" 230lbs and wear a 36 1/2" sleeve in dress shirts. I went with the XL. Its a little loose through the chest area but I like it that way. Also I think the sleeve is like an inch longer than the L. The little extra room allows for a layer or two under the jacket when the weather cools off. I have worn mine for over a year and had no issues. It flows a ton of air which I need riding around in Houston. If you click on the size chart look near the bottom you will see an orange link to click on to "Click here to see the full Joe Rocket size chart". There you will see sizes S-Gigantic. Just make sure you are looking at the "Textile" jacket table as there are several different ones for all the jackets they make. For $150 I thought it was a pretty good deal. I'm about 5'9" 170lbs. I'm a medium for all my sizes. The Joe Rocket Phoenix, I got a medium size and it fits perfect. It appears that the jacket size is closely in size to your shirt size. That is, it doesn't appear to run bigger nor smaller. Fits perfect. Just go with your shirt / T-shirt or current jacket size. Also, there should be a drop-down to allow you to select or choose a size. If the size is not in stock I think, it will not allow you to choose it. I'm not quite your size. 5'8" and 185. But I have a 42" chest and this is my third Phoenix jacket. I've always gotten the Large and it's plenty big. I think you would be fine with the XL. I really like the jacket and wear it almost year round, with the liner as the variable. Is the orange a ktm orange? BEST ANSWER: Not with the protective pads inserted. If they are removed I believe you could but for me I want them in. What is the major difference between this jacket and the Joe Rocket Velocity? Is it really only the CE approved pads? BEST ANSWER: Fellow customer I did not compare the jack to the Velocity. I can only tell you when the temperature outside is 100 I can strip to my undies and put the Phoenix jacket and pants over that! Best hot weather gear I have! and also bought one for my wife, which I think is going to become my son's. The 5.0 is very well made, looks good, and we like the armor. Are the CE rated protectors in the elbows and shoulders removeable? BEST ANSWER: Yes they are. They're the standard CE padding in most jackets. Sorry, I do not know for sure. I have 2 of these jackets, but have not had to wash them yet. My wife and I do have other Joe Rocket Goldwing Skyline Jackets, and when we washed them, all the protection pads came out. I am not at home to check. We really like all our JR jackets, and have not had any issues with them. They seem to be very well made. We get them to fit snuggly, and they do not blow up with the wind at all. If you ride in any cold weather, I would recommend getting the 3 jacket in one. I forget the Joe Rocket name, but that will be my next purchase. We do have Sleeves and Warm Skinnies from Shampa, but sometimes that is not enough. Yes they are removable. They sit in little mesh pockets that close with Velcro. This jacket flow a ton of air. I also own the Cortech GX Sport Air 3.0 Jacket. (See the Revzilla review.) I like this jacket better than the Phoenix 5.0. The armor is also removable. The Phoenix 5.0 mesh holes are much larger than the Cortech, more like fish net. The Cortech comes with a water proof liner as well as a separate long sleeve thermal liner. It flows air just not as much as the Phoenix 5.0 but I was able to get 4 seasons out of it here in Houston. You cant go wrong with either one. Yes. They are held in pockets by small Velcro strips. You have to fold them slightly together them out and to put tham back in. The elbo pads on my jacket do not for on my elbows where I want them, so I put some fabric in the pockets that hold the pads to keep them slightly higher and give me a better fit. I'm interested in getting a large size in this jacket. Would it be advisable to buy better armor, shoulder, arms, and back? If so what would be my best option? BEST ANSWER: Forcefield Isolator 2 Back Protector Insert, Size 2. While the arms and elbows are CE-1, the back insert that comes with the jacket is just a foam pad, CE-nothing, so upgraded back armor is worthwhile. Hi everyone.. So I'm a big guy.. 360lbs and 6 foot tall. Having a real hard time finding a jacket. Just need a little something for those cool 60 degree nights. I see that they offer up 5x. Is there any other big guys out there that could offer some advise? BEST ANSWER: I bought the heavier version with the removable liner for spring/fall and liked it so much that I then bought the light weight mesh version which I also appreciate. No complaints and recommend. I am at 5'9" and 220. If you are only talking 60's, then I would get the mesh version and wear a wind breaker under it...I do and works well. I'm about the same size as you. I bought the jacket and love it. It fits a little loose but does the job on those hot days. Big around and 6'3" tall. This is the only jacket i could find to fit me. Luckily it's a nice jacket. I currently have a Phoenix 4.0 Jacket and absolutely love it, but it's showing its age and I'm thinking about buying this new rendition. One of the best features, in my opinion, about the 4.0 is the visor pocket inside the jacket. I can slide a full sized visor in the left side of the jacket and it wraps around my left ribcage. This allows me to have both a clear visor and a dark smoke visor on me at all times. It looks like they took this pocket away on the 5.0. Is that true? If so, this may be a deal breaker for me. Thanks! BEST ANSWER: The phoenix 5.0 does not have a visor pocket. It does have a little key holder on the right side and a glasses pocket on the left, but no place to store a visor. Not only is there no visor pocket on the inside, there is no inside chest pocket for your wallet now. JR quality is WAY down.